1.2.5 英語放送スクリプト編: 成田エクスプレス (英語のみ) - dutcheez’s Fun with English! 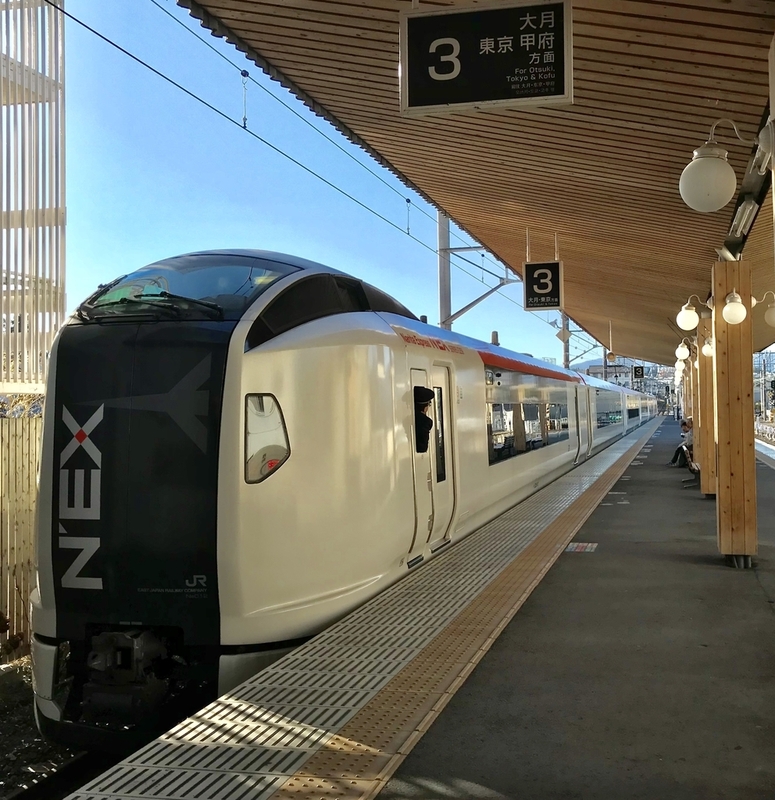 Ladies and gentlemen, welcome on board the Narita Express bound for Narita Airport. The station where you should get off depends on which airline you are going to use. Please be careful. Passengers departing from Terminal 2, please get off at Airport Terminal 2. Passengers departing from Terminal 1, please remain on board and get off at the final stop, Narita Airport. If you wish to use a mobile phone please go to the end sections near the doors. We wish you a pleasant journey. Thank you. We will soon make a brief stop at Tokyo. The stop after Tokyo will be Airport Terminal 2. The baggage space will be crowded just before we arrive. Please pick up your baggage and get ready to get off before the train arrives at your stop. If you do not remember the combination number of the lock, you can get your baggage at the terminal station.